This is one of the best credit cards for rebuilders, especially if you have been declined by all the other usual suspects like Capital One secured, Discover secured and even cards like Credit One etc. If you want to avoid another hard pull, this is the card to get. 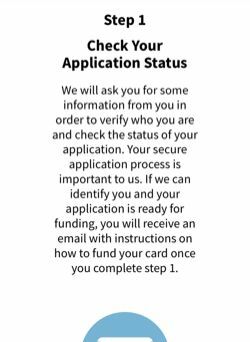 Because there is no credit check, approval is guaranteed as long as you fund your card and your provide the correct details in your application. The quickest way to get your card is to fund it with your debit card. After you fill in your details and submit your application, you will get an email to either fund now or later. If you choose to fund now, have your bank debit card ready. Once that is done, your card will be shipped to you. If you choose to fund later, you can either use bank wire transfer, checks or money orders or Western Union. Those will take longer to clear and you will receive your card later. Funding Methods: Debit/Prepaid Card, Bank, Western Union, Snail Mail Check or Money Order. Interest Earned On Deposit: 0%. Minimum and Maximum Deposit Range: $200 to $3,000. One of the ways this card is different from other secured credit card is that you can fund the card in a few different ways. The most efficient and quickest way to fund your card is by a debit card (either a bank debit card or just a regular debit card). 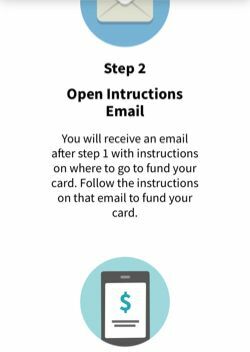 If you choose to fund it this way, you will get your card sent out to you immediately once the funds go through. 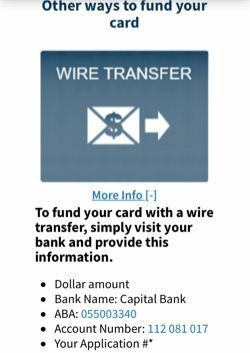 Alternative, you could choose wire transfer, check or money order and even Western Union. For most card reviews, I normally compile a table of relevant comparable cards and list their features side by side. However, I feel that there is no need to do it for this review. If I were to make a list of secured credit cards, there would be over 100 of them. But most secured cards are quite similar. They have annual fees that range from $0 to $45. Their interest rates could go as low as 9.99% to 23.99% (thereabouts). 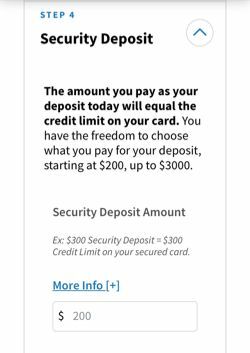 Most require about $250 to $300 as a minimum deposit. Some report as secured while some report as unsecured. Some issuers allow you to graduate to an unsecured card automatically after one year while others do not. However, what sets this card apart from it's peers is that there is no credit check. This is important because though secured cards are meant to be "secured" in that your credit line is based on your collateral, many issuers have been known to turn down applications due to poor credit scores and dings on your credit report. Many mainstream bank issuers like Wells Fargo and US Bank have been known to turn down applicants with poor credit for their secured card products. Even BK friendly issuers like Capital One have declined folks for their secured cards. 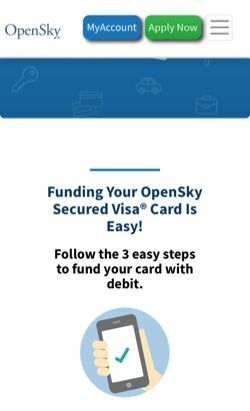 The OpenSky® Secured Visa® Credit Card is perhaps the secured card to turn to if you have been declined of other secured and sub-prime unsecured cards. Issuers like US Bank, Wells Fargo, Capital One and many credit unions all perform hard pulls on your credit report. 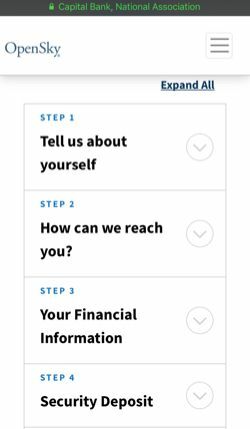 The fact that it does not check your credit means that as long as you have filled in the correct information and can fund your account, you should be approved. When you have a 750 credit score, you could take a 5 to 15 point hit on your score because of a hard pull. But when you score is in the low 500s or even 400s, with a couple of collections, charge offs and delinquent accounts, that ding on your score because of a hard pull sure hurts. 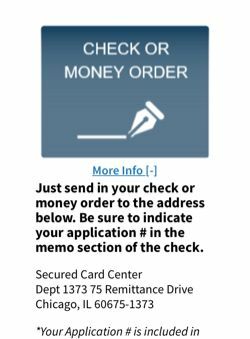 If your credit is really bad and/or if you have been declined other secured cards, this would be the card that I would apply for. How Can I pay my security deposit? There are a few ways to fund your security deposit. The easiest and fastest way is to provide your bank debit card details during step 4 of your application process. 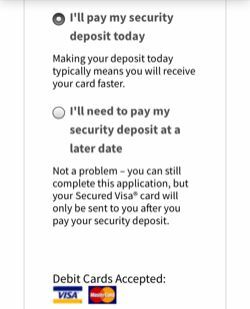 If you do not have a checking account and a bank debit card, simply select "I'll need to pay my security deposit at a later date" in step 4 of the application process. After you have been approved, you will receive an instruction on how to send your deposit via money order or Western Union. 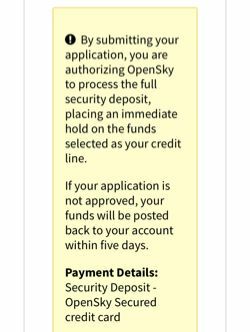 Can I get Opensky if I do not have a checking account? Yes, you can. Refer to the earlier question of how to pay for security deposit. 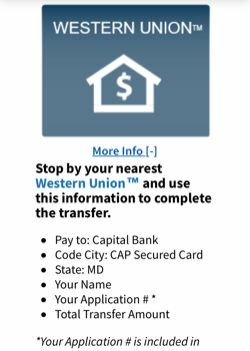 You can use Western Union to fund your deposit. Can I increase my credit limit with the Opensky credit card? You have to request a credit line increase by contacting their customer service department. If you are approved, you will notified and told of how to increase your deposit. You might get charged a fee. Will Opensky graduate to an unsecured credit card? No. Opensky does not have any unsecured credit cards so you will not graduate. However, it is an excellent card to build or rebuild your credit score and once it increases, you will probably get offers for regular no annual fee unsecured credit cards. Does my security deposit earn interest? Does Opensky credit card have an app? Yes. You can download it from either the Apple Store or Android Store. Does Opensky Report to Credit Bureaus? Yes, Opensky reports to all three major credit bureaus. 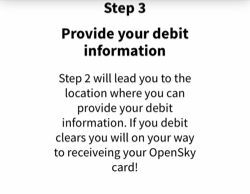 Can I withdraw cash using my Opensky credit card? Yes, you can do cash advance with the card. See terms and conditions for cash advance fees and rates. You may be charged an ATM fee as well from the bank's ATM. 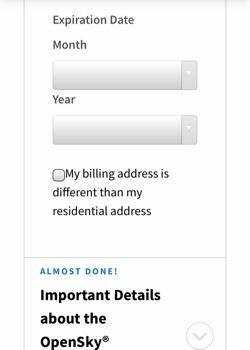 Can I set up autopay to pay my bills automatically every month? Yes you can. You can either set up one-time or recurring online payments. 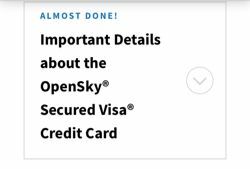 Can I pay my other bills with Opensky credit card? Yes, you can. Simply select this card when you are setting up automatic bill payments for your other bills and accounts. Can I use this card outside the United States? Yes you can. A foreign transaction fee will apply for each transaction. Can I get an additional card for a family member? You will get it back when you close your accounts and all your bills are paid. If there are still outstanding bills when you close the account, your security deposit may be used to pay the outstanding balance. It will take four to six weeks to get your deposit back. 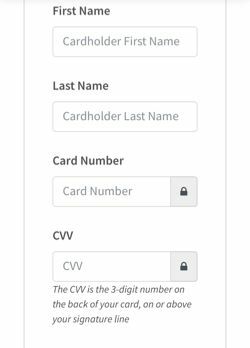 Below is a screenshot of the application of the Opensky® Secured Visa® Credit Card. It is pretty intuitive. You fill in the usual details like your name, date of birth, SSN, email and phone address. For the part on financial information, you need to fill in your monthly rent or mortgage. 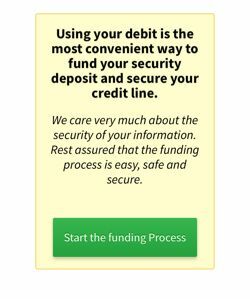 When it comes to funding your account, you will be given a choice to fund it now or to wait. As mentioned earlier, when you choose to fund it now, you have to provide your debit card details. This is the fastest way to funding and you will get your card shipped out the fastest. If you choose to fund later, then you have to fund either via bank wire transfer, check or money order or by Western Union.